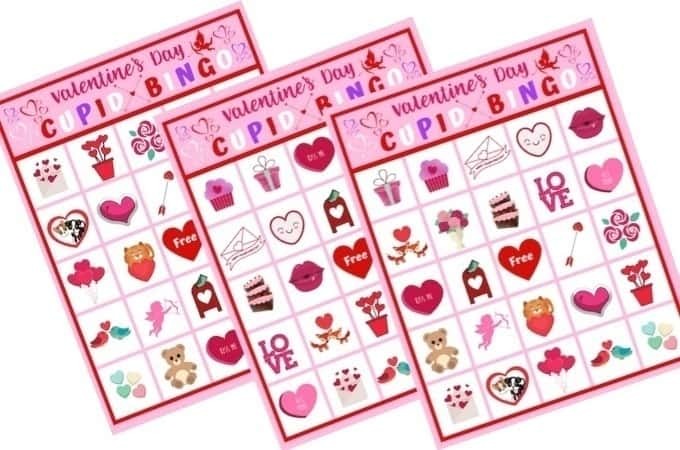 These free Valentine’s Day Cupid Bingo cards are perfect for kids to play at home or classroom parties. 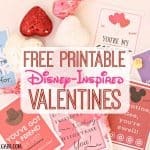 Download and print yours today for some Valentine’s Day fun! 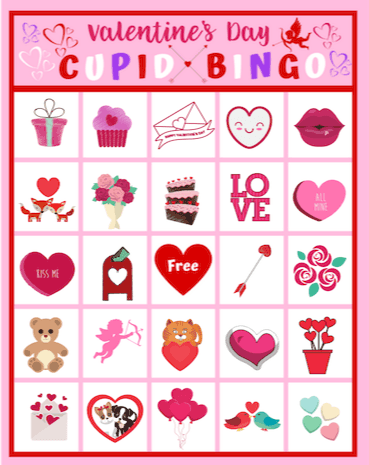 Cupid is making an appearance on The Farm Girl Gabs today to share these fun Valentine’s Day Cupid Bingo cards. 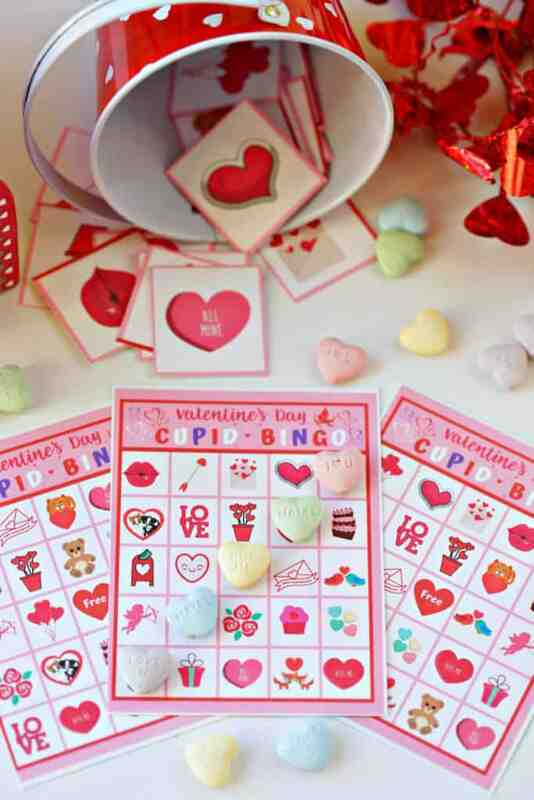 If you are planning a class party, friends party or just want to keep the kids busy during the cold winter months, print out these bingo cards and start playing. 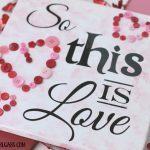 Valentine’s Day is a super fun holiday. 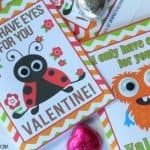 You can’t go wrong with a day that celebrates love and candy. 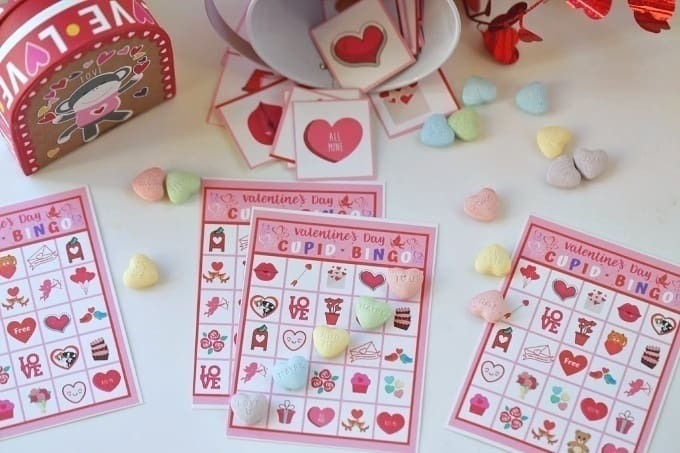 While kids of any age can play this game, this Cupid Bingo is a perfect game for younger kids because there is no reading involved…..just matching! BINGO! 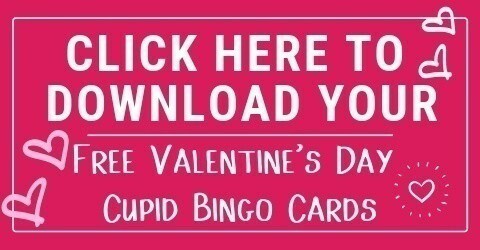 I created 16 different Valentine’s Day Cupid Bingo cards that you can download and print out. There are a total of 16 cards and 4 cards to a page. 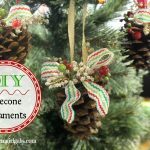 Print them out on card stock for more durability. To make the calling cards, I included an enlarged card you can cut out the pictures to call the game. Not only is this bingo game really easy to play, but you really don’t need a lot of supplies to play it. While the concept of this game is pretty simple, I thought I should explain how to play just in case. Before beginning, decide if you are going to play a basic bingo game (fill a solid row up, across or diagonal) or something more involved like fill the outer square or make an X. The bingo caller pulls a call tag and if a player has a match, he or she will mark the space with a game marker. Click the link here to enter your name and email address in the form to get the printable.